Please note before you contract for an in-ground pool or invest in an above ground pool, they require special permits and safety installations. 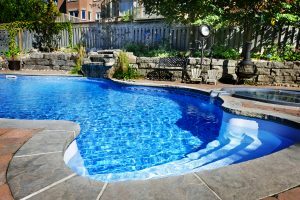 All pools must be equipped with a recirculation and filtering system and a double check valve to be installed at the meter on the incoming water service. The District office will be happy to provide you with a complete copy of the rules of installation and operation and the necessary applications or you can download the application.